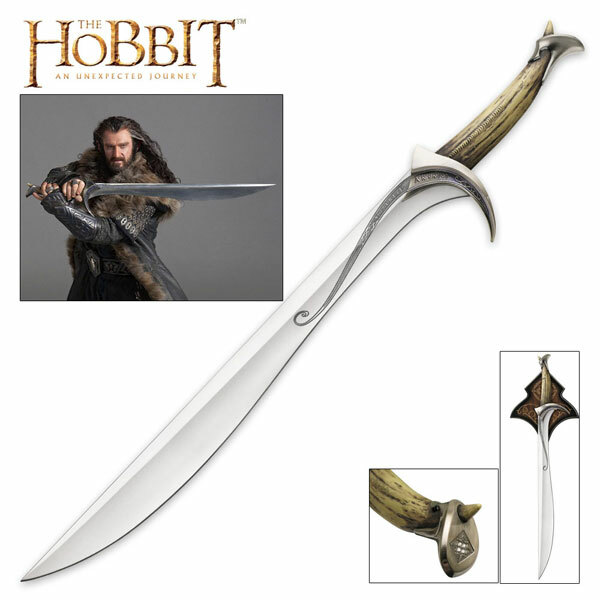 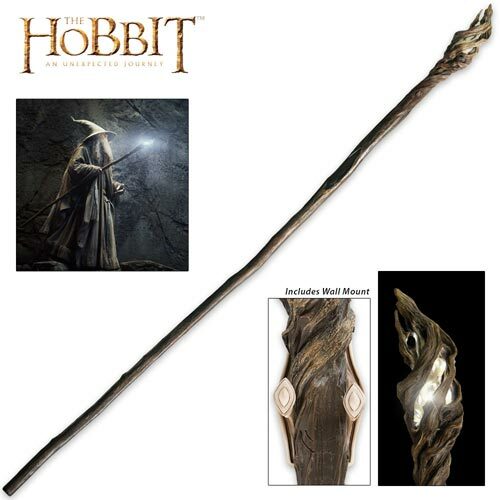 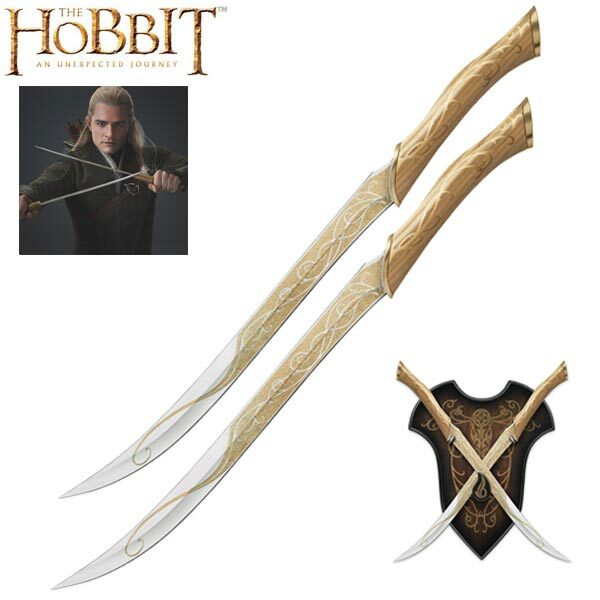 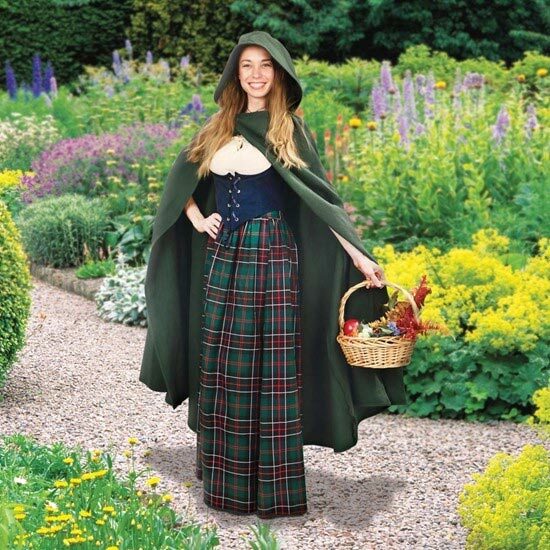 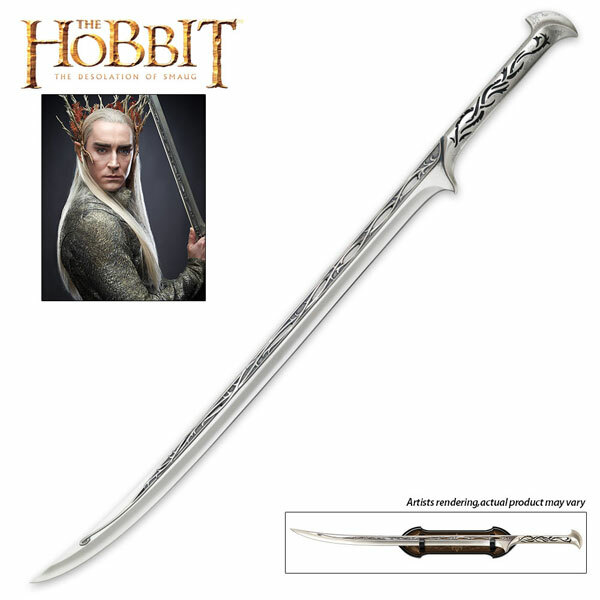 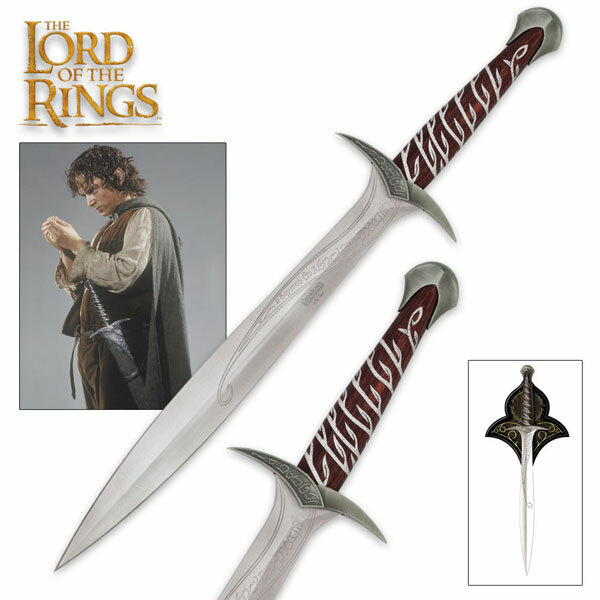 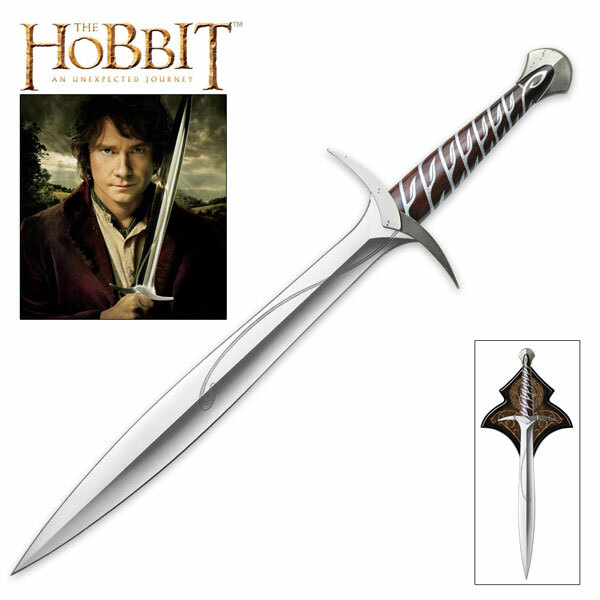 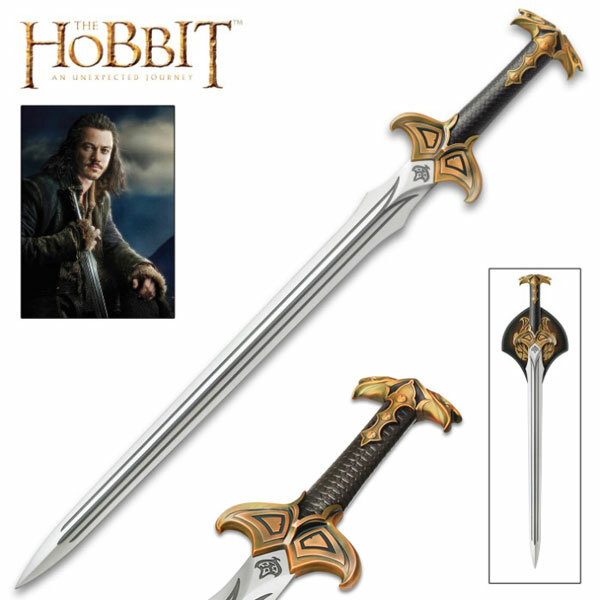 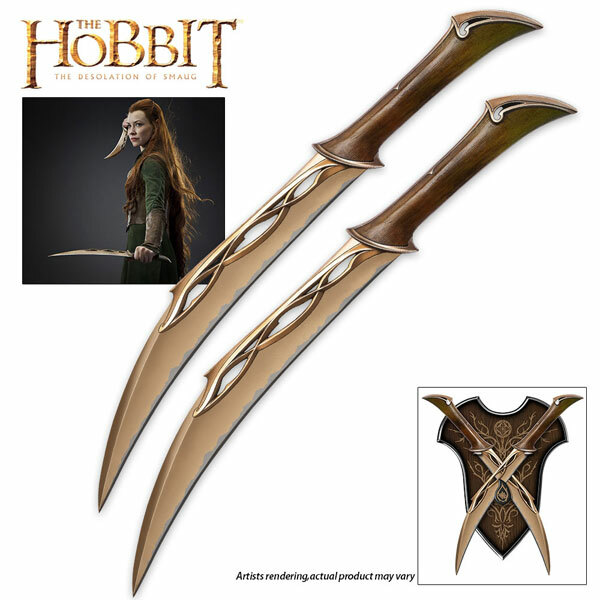 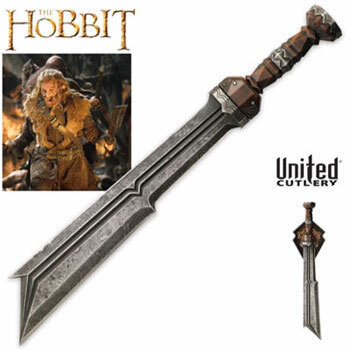 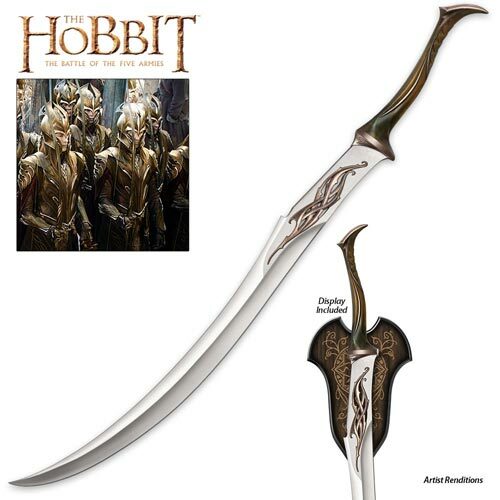 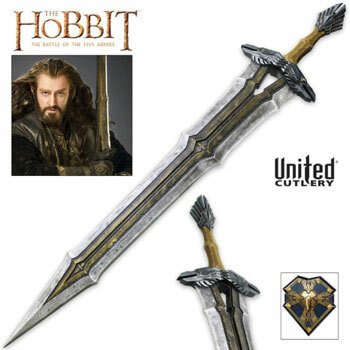 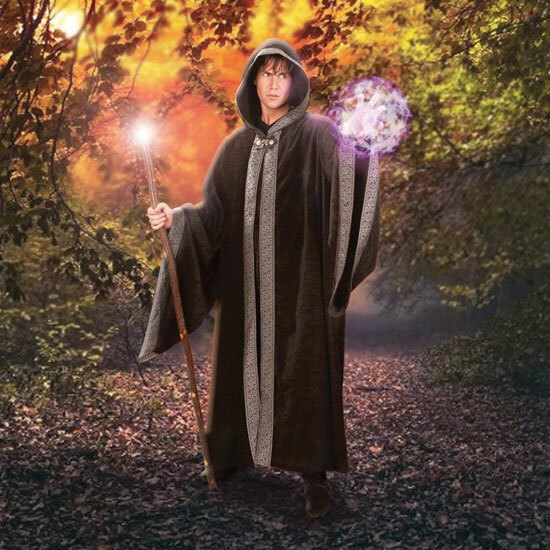 Hobbit Glamdring Swords for sale are a detailed replica of the one carried by Gandalf in the Hobbit movies. 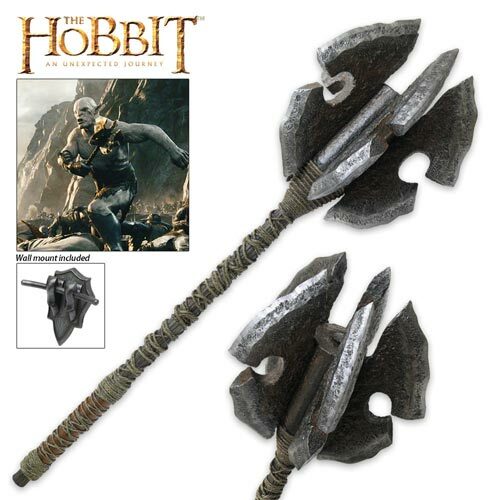 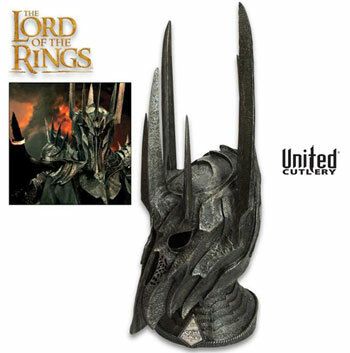 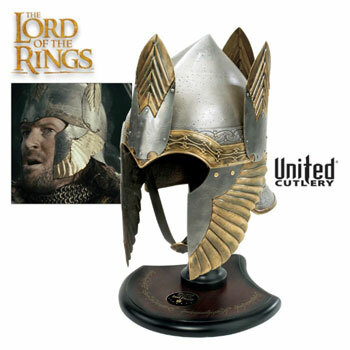 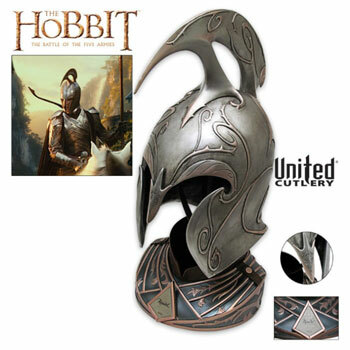 These pieces are detailed replicas of the real prop that was designed by Weta Workshop of New Zealand for the films. 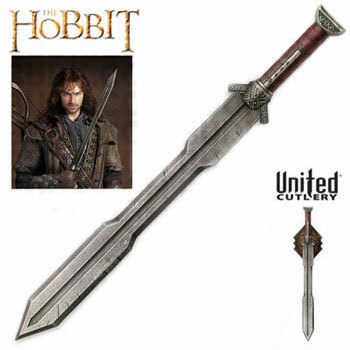 The swords measure 47 5/8th inches in all. 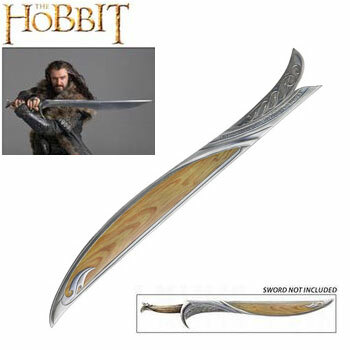 They have a 35 ¼ inch, unsharpened mirror polished 420-stainless steel blade. 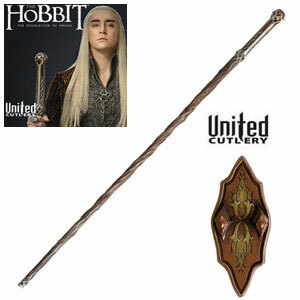 The handle is wrapped in real leather. 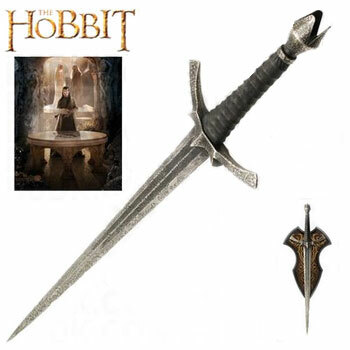 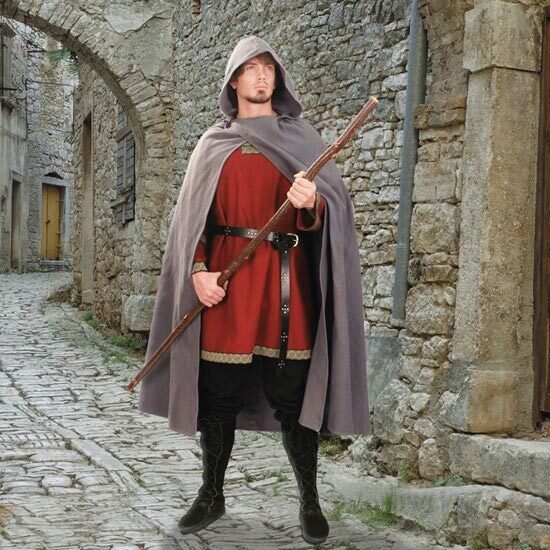 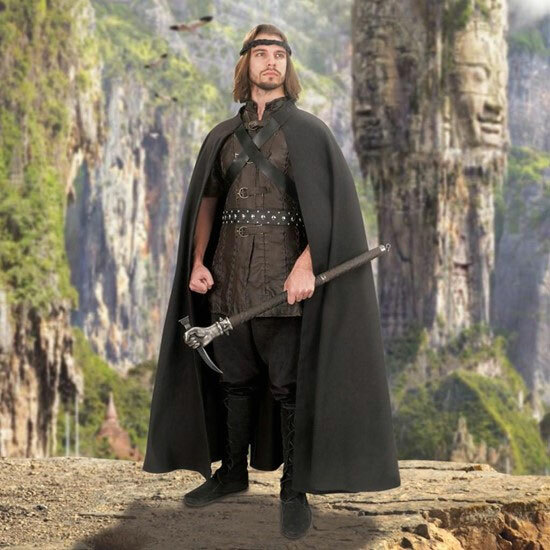 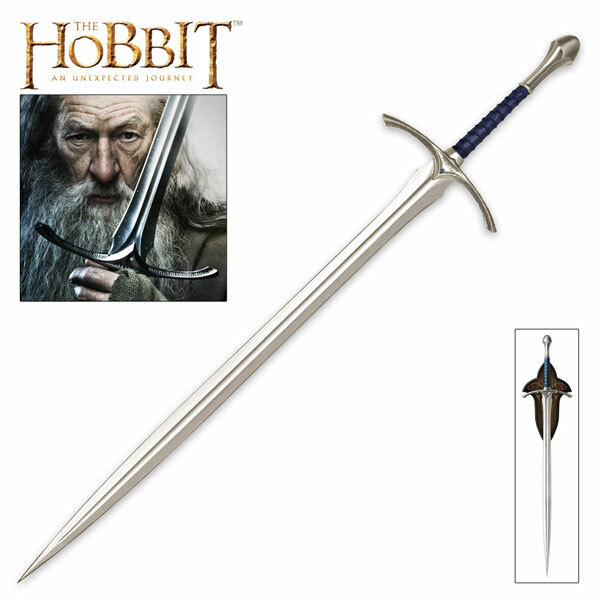 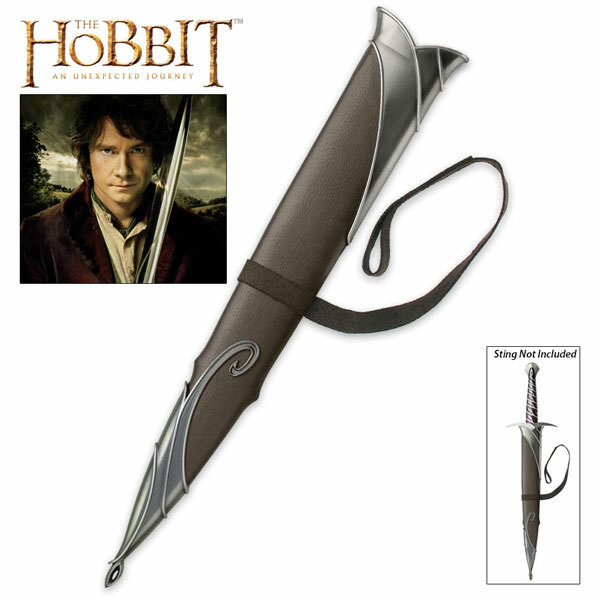 The Glamdring Sword of Gandalf has an antique silver-colored, solid metal cross guard and pommel. 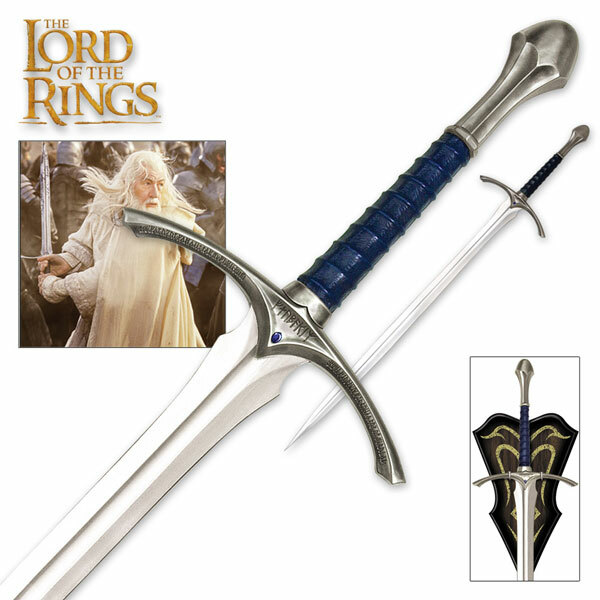 They also feature faux blue jewel inlays. 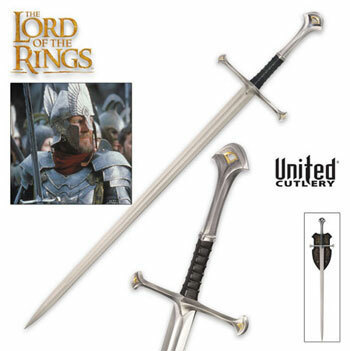 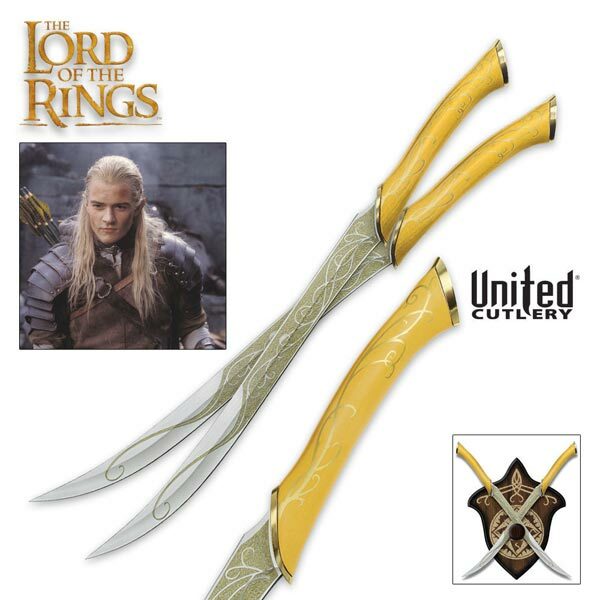 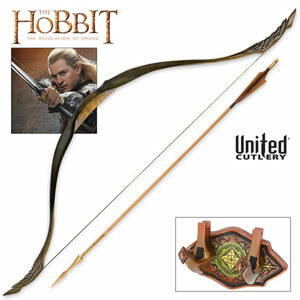 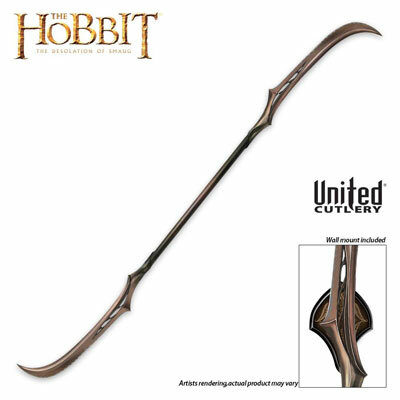 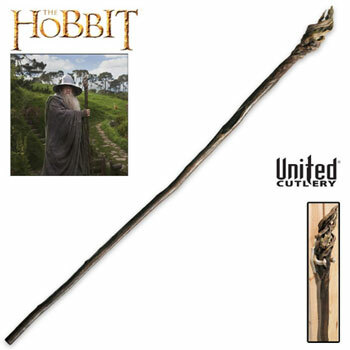 Manufactured by United Cutlery, these officially licensed swords include a certificate of authenticity, a wooden wall display plaque, mounting hardware and display instructions. 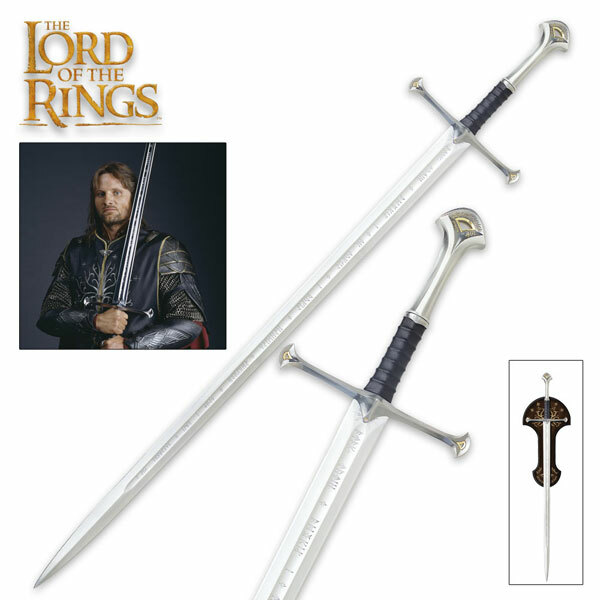 Buy these popular Glamdring Swords, the sword of Gandalf for $259.99.